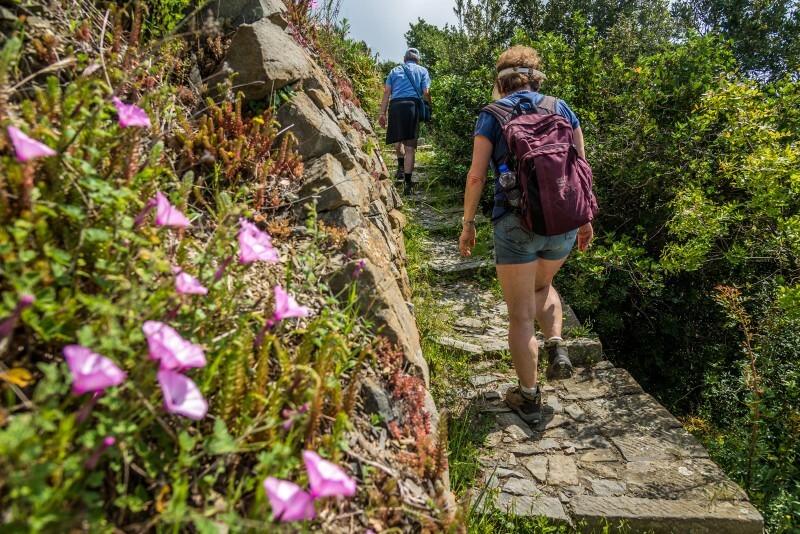 Hiking is the best way to discover the Cinque Terre. 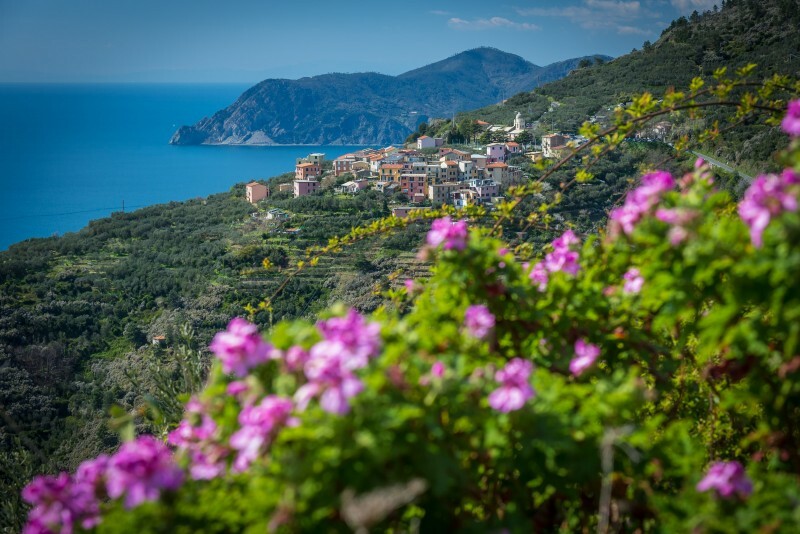 This self-guided hiking package is the ideal solution if you would like to enjoy stunning views from the best trails in the Cinque Terre National Park, and gain interesting insights into the area, its traditions and the life of local people. You will stay in one of the characteristic villages of the Cinque Terre or in Levanto, a wonderful seaside town nearby. You will receive a road book, which describes the most beautiful itineraries off the beaten track and provides lot of interesting information about the 5 villages. 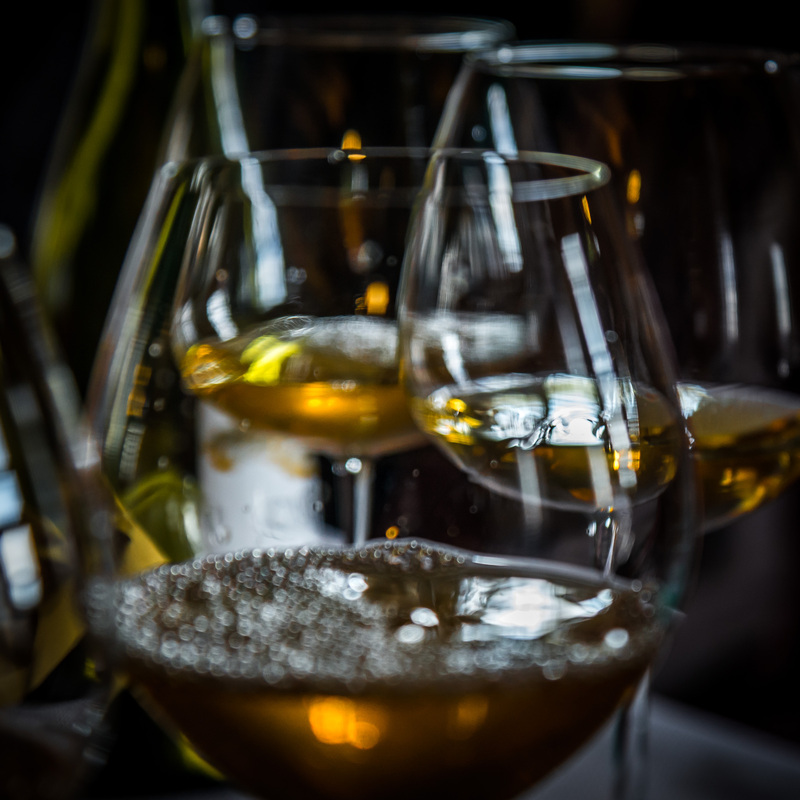 A wine tasting and a seafood dinner will make your Cinque Terre experience even more special. 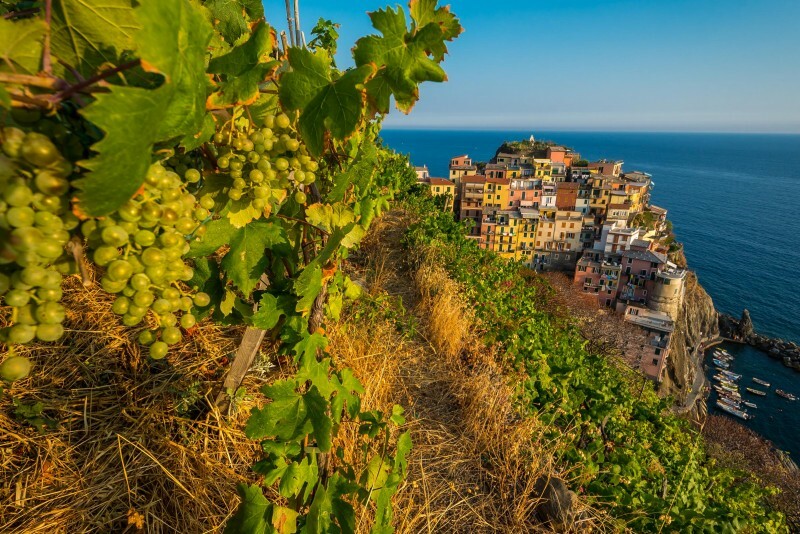 You will also receive the beautiful photo book "Cinque Terre - Vineyards with seaview" by Catherina Unger. 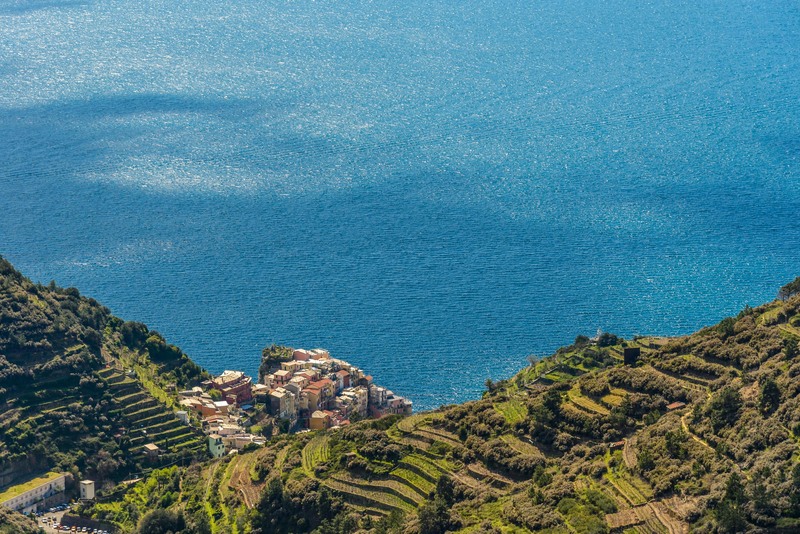 You can read about the history of Cinque Terre wine and about local winegrowers. Check-in at your booked accommodation. You receive a welcome package with information about the area and recommendations for your stay in the Cinque Terre. The package also includes the Cinque Terre Train Card and your vouchers for a dinner and a wine tasting. Dinner in a characteristic restaurant or in your hotel. 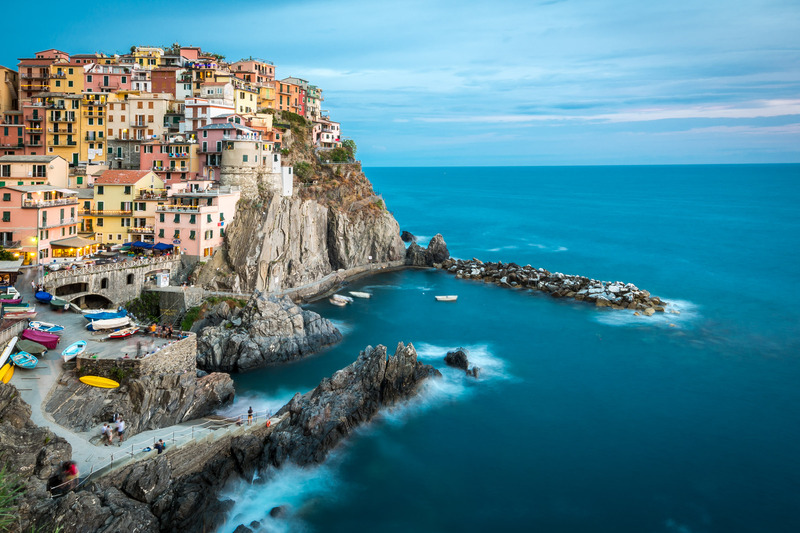 Today you hike on one of the most beautiful trails of the Cinque Terre, the panoramic path from Corniglia via Volastra to Manarola. It takes you through marvellous vineyards on the terraced fields, built and maintained by the local winegrowers. In the afternoon you are visiting a wine bar in Manarola, where you can enjoy a wine tasting of 3 local wines and some typical snacks. Dinner at leisure. Hike on an ancient pilgrimage path from the picturesque village of Vernazza to the sanctuary of Madonna di Reggio. The path offers breathtaking views over the Ligurian Sea until you reach the sanctuary of Madonna di Soviore. The trail ends in Monterosso, the biggest village of the Cinque Terre, which has a nice long beach. Dinner at leisure. 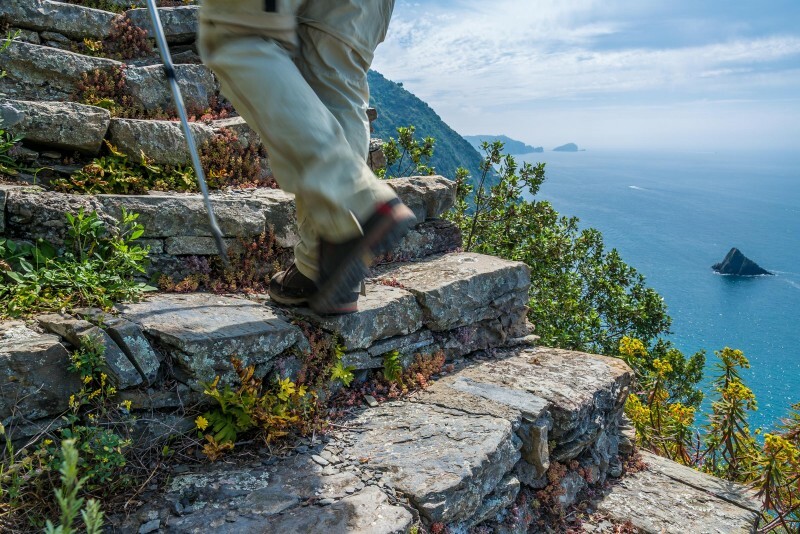 Hike the spectacular trail from Riomaggiore to Portovenere. Enjoy a varied path and an incomparable panorama over the steep coast of the southern part of the Cinque Terre coast. Return by public ferry boat. Hike around Palmaria island with great views of Portovenere and the Gulf of Poets. 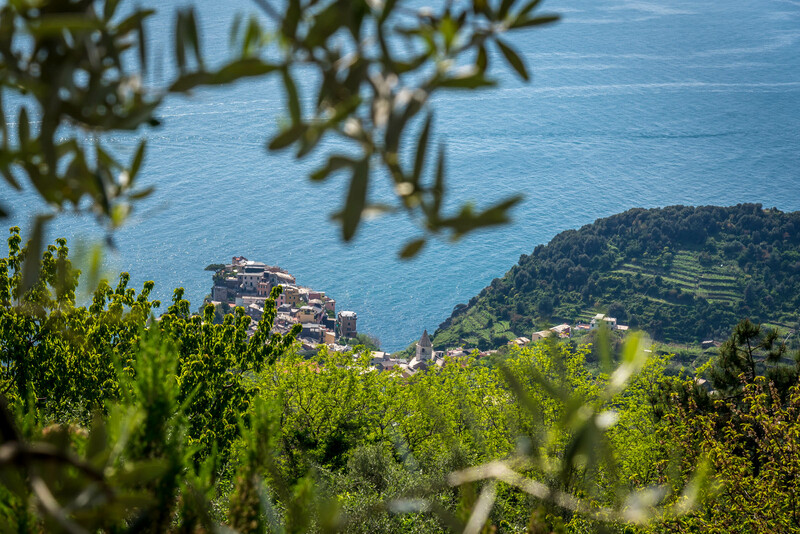 Hike around the Levanto valley, crossing olive groves and ancient hamlets. In a 4 star hotel in Levanto: 520-670 €, depending on the season. 3-night accommodation in a privately rented room, a self catering apartment or a hotel room. Double room occupancy. City tax is not included. Breakfast if you are staying in a hotel. Roadbook with the suggested itineraries, map of the Cinque Terre National Park. Cinque Terre Train Card for 2 days. Wine tasting in Manarola with 3 local wines and some snacks. One dinner with 3 courses and fish specialties, drinks not included. One book "Cinque Terre - Vineyards with seaview" by Catherina Unger. (1 book each 2 people).